The mental effects of being sad are well known to everyone. Your very soul feels like it is broken and you don’t feel like you have the mental energy to really apply your mind to any task. Your spirit is destroyed, you are low on energy and you prefer to spend time in solitude. 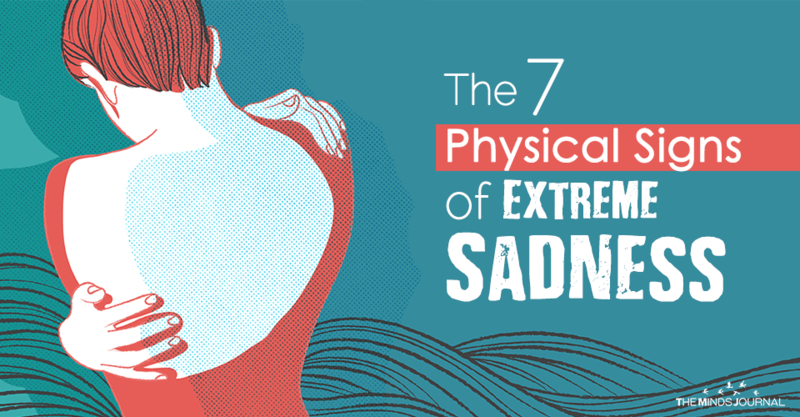 When you remain sad for a long period, it also affects your physical health. We generally view sadness as just an emotion but if it is prolonged and runs very deep, it will show itself in various ways. The following are the symptoms you need to watch out for to figure out if your mental state is affecting your physical health. When you have been sad for a long period, you don’t have the mental strength to deal with complicated issues and you don’t have the patience to make space for things that don’t really matter to you. You are mentally so exhausted that all you can do is talk about the issues that are the most urgent. The consequence of this is that whenever someone brings up something you don’t think is important it irritates you to no end. You are so caught up with trying to break out of sadness that you don’t have the energy to discuss issues that will keep for a later date. The load you carry is very heavy and these things just seem to add on to it. You may not have much to do but you will still feel absolutely exhausted most of the time. It might seem like there is no obvious, rational explanation for why you are so tired. You might even be sticking to a balanced diet and a regular sleep schedule but none of this helps you get that boost of energy that you are searching for. This could be because you are slowly being overwhelmed by sadness. The process is so gradual that it is not obvious even to your own mind. This results in an entrenched feeling of weariness which is not easy to get past. It will eat its way into your body and soon enough you won’t have the energy to even do the things you once loved. Most of the time, you won’t really feel up to having an intense discussion, especially if it is not a topic you don’t care about. Even normally, when you are in a situation wherein you are not in the mood to talk but it is essential that you do, you begin to speak in a very slow manner without pausing to think about how much time you’re taking to say even the simplest things. This is the change you will see in the way you speak when you are sad. You’ve lost much of the passion that you had before this so you don’t really want to talk about anything. It feels like you need too much energy to talk and you don’t have that sort of energy to spare. The spine is what keeps you propped up at all times. Consequently, this is one body part that comes under a lot of pressure when you are sad. All the stress and anxiety begin to accumulate within you and all that weight has to be supported by your spine which simply was not made to support such a heavy burden. You will first feel the ache in your lower back and it will slowly rise all the way to your neck. You might try a lot of methods to soothe the ache but no physical cure will work because the ache is only there in your own mind.